Have you ever noticed a microwave while heating food? It spins food slowly and looks satisfying. 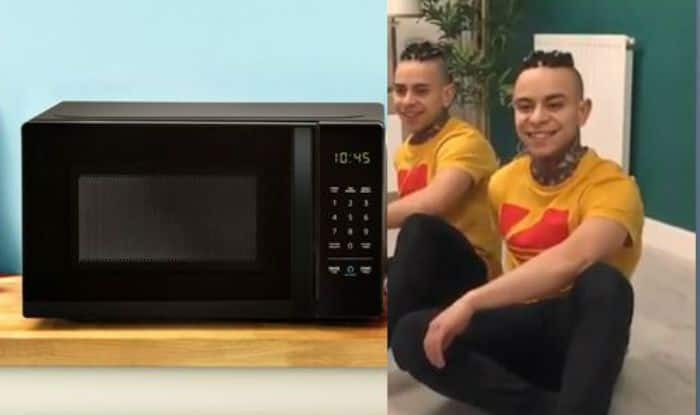 The latest viral trend ‘Microwave Challenge’ has hit the internet and people are going crazy. Netizens are filming themselves sitting on the floor and spinning around like a microwave plate without moving their arms or legs. This bizarre trend has gone viral and is making everyone to complete the challenge. According to Metro, the Microwave challenge has taken over short video app Tik Tok. Dozens of videos on Twitter show people sitting on the floor with stretched legs and slowly rotating their whole body in a circle, just like a microwave plate. To complete the challenge, people have also started to keep the same background soundtrack of Joji’s “Slow Dancing in the Dark,” specifically starting at the 1: 04-minute mark. Last year, there were a couple of weird challenges which took the internet by storm like Ice bucket challenge, the first-hand challenge, the invisible prank challenge, KiKi challenge, Cinnamon challenge to name a few.